Comments: Very Good Condition. Includes Unopened CD/DVD(s). Has some wear. Five star seller - Buy with confidence! 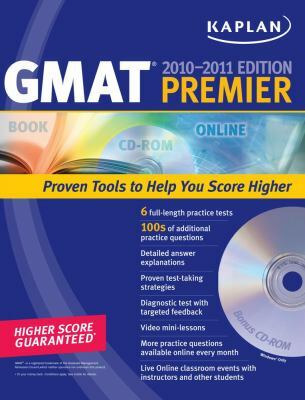 Kaplan Publishing Staff is the author of 'Kaplan GMAT 2010-2011 Premier with CD-ROM', published 2010 under ISBN 9781607142706 and ISBN 1607142708. Loading marketplace prices 9 copies from $1.89 How does the rental process work?